It takes a village to hold Denise's family. Several villages, in fact. The villages are in the area around Wilkes Barre, PA. On a recent trip there, we visited with a huge number of family members in quite a few of those villages. The family is a big Italian group, the kind in which fifty or so people all share three names. Joe, Steven and Christopher get recycled a lot. If you are unsure of any male person's name in my wife's family, one of those three will give you about a 30% shot at being right. Joe, Joey, Chris, Christopher, Stevie, Little Steve, Big Joe, etc. All those variations make it seem to the uninitiated that they're talking about the same few people. The ladies have a few more names to work with, but Mary is a favorite that keeps coming up a lot. One of the family gatherings on this trip to northeast Pennsylvania (NEPA, I think is the abbreviation) took place at the home of Mary Theresa and Jerry. Jerry and I were lucky – we married into the family and were allowed to keep our own names. I brought the last of the three wines from the Wine and Spirits store to this buffet dinner. I had previously had mixed results with Tailgate Red and Clover Hill DeChaunac. I hoped the Chaddsford Winery Proprietor's Reserve would be the best of the three. Labeled as Pennsylvania Red Wine from the Brandywine Valley, the Chaddsford records a 12.9% abv number. Once again, I'm not expecting a big, firebreathing monster. Also again, I am experiencing a grape which is new to me - Chambourcin. The Chaddsford is 91.5% Chambourcin from southeast Pennsylvania and 8.5% Barbera from Flowing Springs Vineyard. The wine sees American oak chips during its stainless-steel tank storage and it experiences 100% malolactic fermentation. A translucent cherry red in the glass, it looks almost weak. I have no great expectations for this wine – until I smell it. Aromas of dark fruit, ripe cherry and smoke jump right out at me. It's complicated and delightful to whiff. On the palate, a bright cherry flavor with a brambly feel is a joy to taste. There's a bit of smoke, too. I am relieved to find that it's really a pretty good wine. It tastes and drinks a lot like a Pinot Noir. 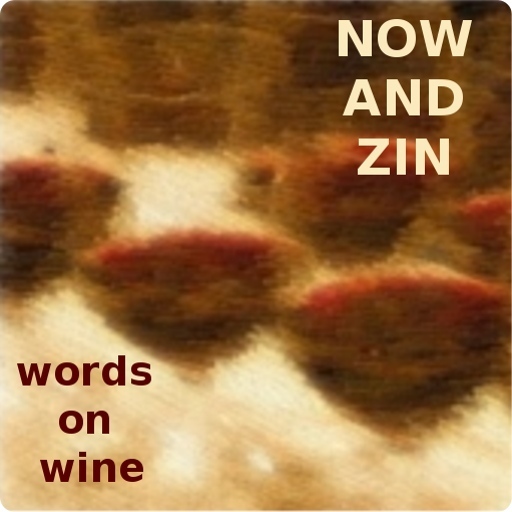 Tomorrow on the Now And Zin Wine Blog, a Washington State Riesling.